How do we address the urgent problems of our day and still discover strength, hope and possibility along the way? How do we develop an enduring spiritual center of resistance, act from a source of inner wisdom, compassion, empathy and solidarity while putting our hands on the wounds of the world? Where do we find the will and courage to confront powerful forces and challenge injustice in our society? How do we break with limiting beliefs in our own lives, with negative patterns that keep us disconnected from our true selves and distant from others as we work to change the world? How can our actions in the world be guided by and grounded in a deep sense of balance, harmony, unity and Presence? Facilitated by Dr. Raúl Quiñones-Rosado, this workshop (soon to be offered as an online course) will be useful for helping professionals, community organizers, social justice and spiritual activists, cultural workers, organizational leaders, students, educators and others engaged in personal growth, professional development and social change. Oppression—the cultural, institutional and individual expressions of separateness, ranking and imposition—slowly eats away at the heart of humanity. Our current global environmental, economic and political moment is an external manifestation of this reality. The difficult work of social change is made harder by its many challenging and risky aspects: compassion fatigue, burnout, isolation, fragmentation, secondary and vicarious trauma, lack of self-care and protection, and stress. Many change workers experience a crisis of faith, even in their own visions of a world transformed, and are searching for new, fresh and sustainable ways of working. Many are seeking refuge in transformative and spiritual practices that open the heart, sustain the body, and deepen insight, all of which are required to stay fully engaged in the long and protracted process social change requires. 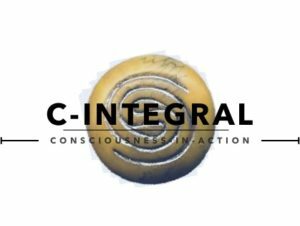 Spiraling into Oneness, our 3-5 day residential retreats, engage participants cognitively, spiritually, physically, emotionally and inter-personally, as they seek to stretch beyond the narrow confines of their current work paradigms, worldviews and personal life patterns. Facilitated by Dr. Rose Sackey-Milligan, participants will also learn about and be encouraged to adopt other practices, such as dietary, exercise, healing and martial arts, creative expression, etc., that expand their understanding and personal insight into the numinous nature of being, doing and libratory transformation. Dr. Quiñones-Rosado and colleagues are also available for talks and presentations on the principles and concepts of consciousness-in-action, integral liberating transformation, as well as on aspects of Latino identity and leadership, racial identity development, social identity development, antiracism organizing, and liberation psychology.